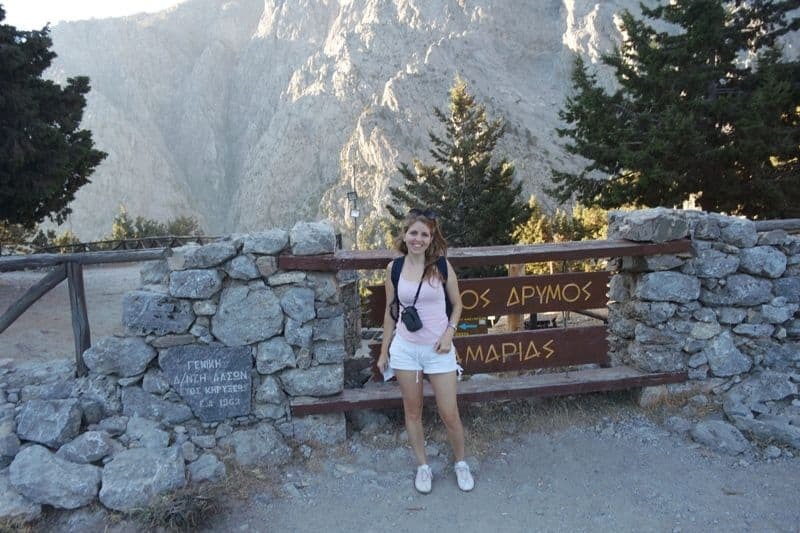 I have heard a lot about the famous Samaria Gorge in Crete and of how beautiful it is, but in my mind it wasn’t something I thought of doing any time soon. All that until last year, at my grandmother’s funeral. My grandmother was from the beautiful island of Crete. Every summer since I was little we used to go there and stay at her sister’s house for about a month. I have the best memories from those days. 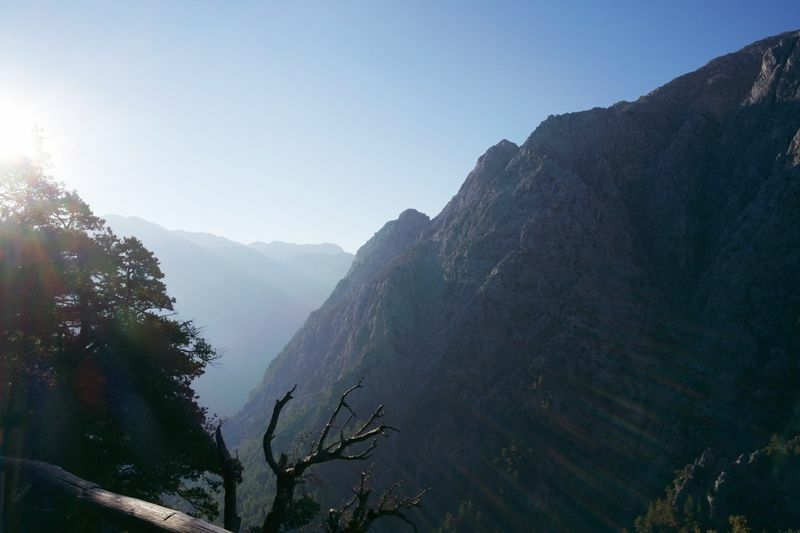 So when I mentioned to one of our relatives who is also from Crete that we were visiting the area for the summer, he mentioned to us the Samaria Gorge and how rewarding it was to hike it. My boyfriend and I immediately decided to do it. At the beginning I was reluctant if I could manage to walk it, my boyfriend was very confident since he is in much better shape than I am but at the end I said I would go for it. 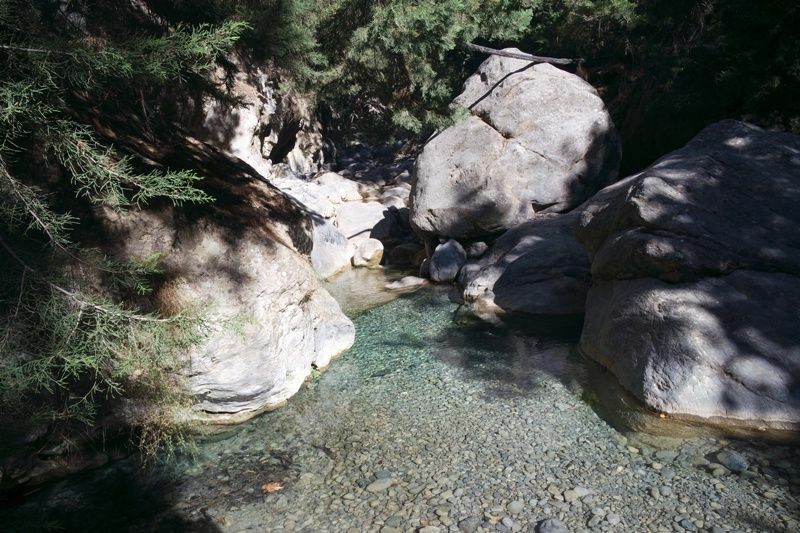 Samaria gorge is the most famous gorge in Crete. 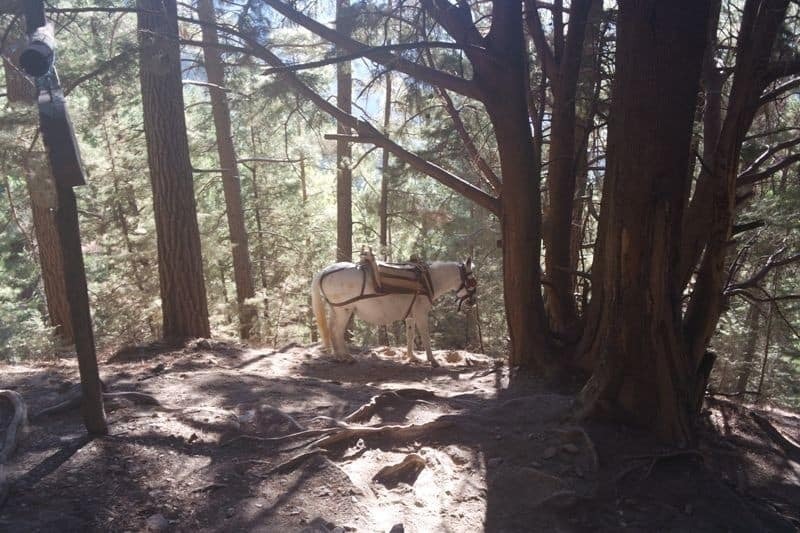 In this complete guide to hike the Samaria Gorge in Crete, you will find all the information needed to walk Samaria as easily as possible. 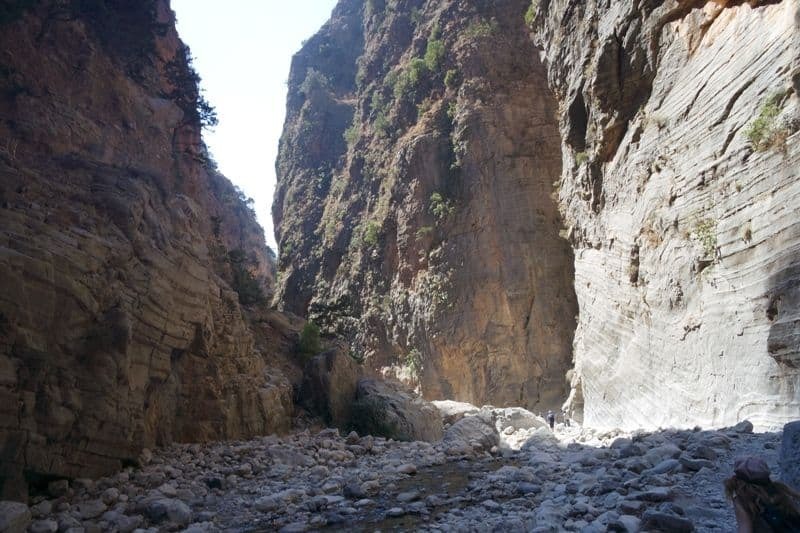 The gorge is situated in the Samaria National park, within the White Mountains in West Crete. It is home to over 450 species of plants and animal, many of them can only be seen in Crete. It is 16 km long and its width is 150 m at its widest point and 3 m at its narrowest. 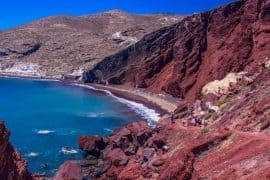 It starts from Xyloskalo area with an altitude of 1200 m and continues down until the sea level in the village of Agia Roumeli and the Libyan sea. The Samaria Gorge usually operates from the 1st of May until the 15th of October depending on the weather, from 6am till 4pm. 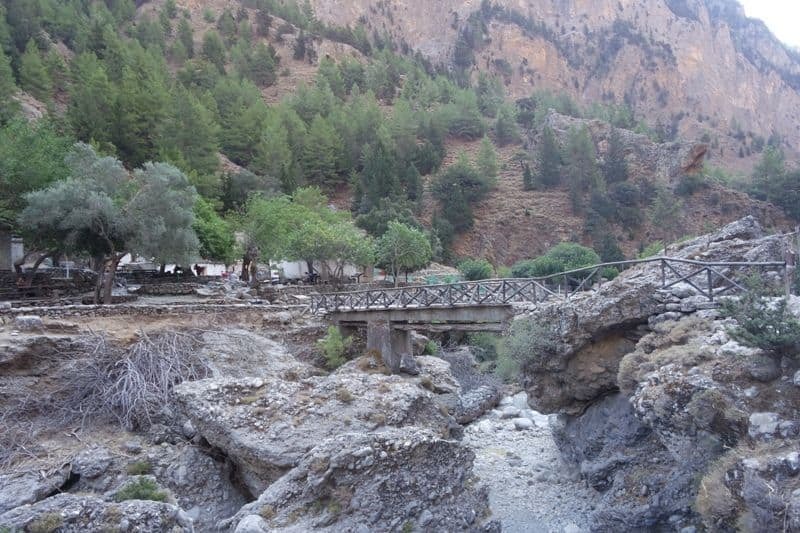 You can either access the gorge from Xyloskalo or Agia Roumeli. (It is better from Xyloskalo because you descent most of the time). To be certain of the actual date of opening it is advisable to contact this number + 30 2821045570. The best time to cross the gorge is in May and September when it is not very hot. Here you will find some guidelines of what is not allowed during your walk in the Samaria Gorge. There are a lot of ways to get to the Gorge. We chose to go on an organized tour. The cost of the tour to Samaria gorge is around 30 euro per person but you get picked up and dropped off from your hotel. Also we stayed very far from Chania town so it wasn’t easy for us to take the public bus. Moreover at the end of the day you are too tired to do anything complicated. 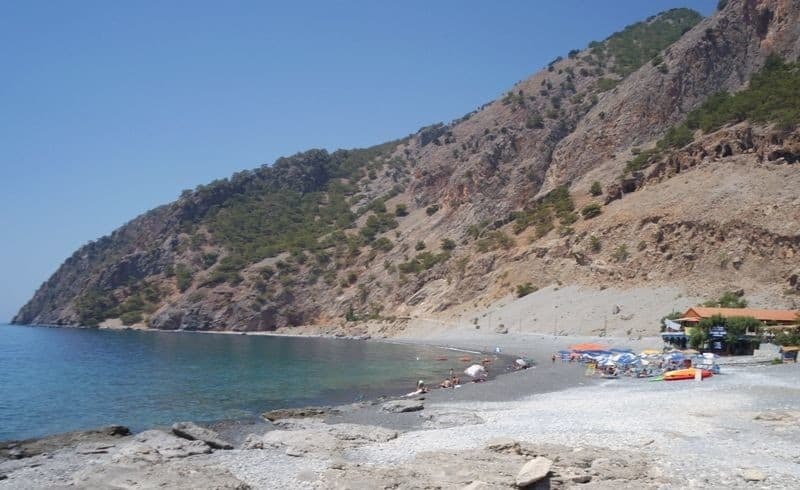 If you choose to go with a tour you don’t have to walk in a group you just enter the gorge together and have an appointment in Agia Roumeli in the afternoon to go back. You can take the public bus from Chania (KTEL CHANION) that goes to Omalos. 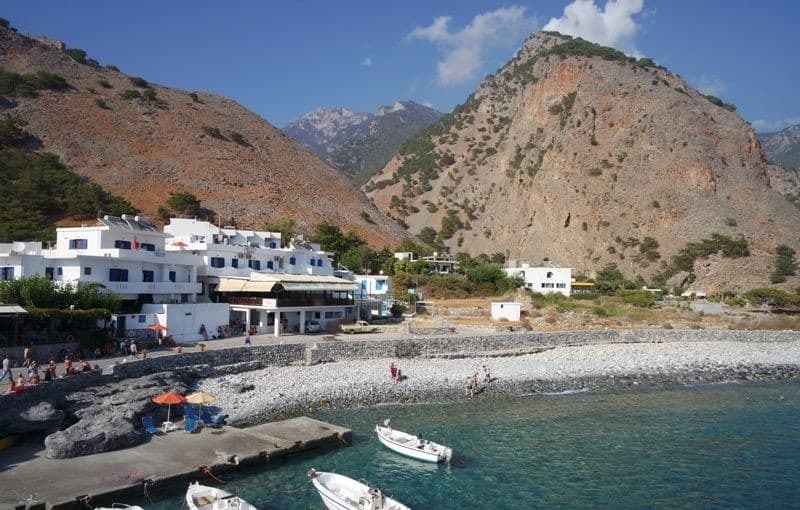 When you have crossed the gorge you will take the ferry from Agia Roumeli to Sfakia, Souda or Palaiochora and from there take the public bus to Chania. 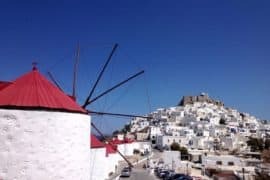 The ferry apart from the towns mentioned can also take you to the seafront village of Loutro or to the island of Gavdos. Imagine that you will need more than 2 hours to get back to Chania from Agia Roumeli. If I were you I would choose to go to Sfakia because the road has less turns. The road from Souda is full of them. Alternatively, you can choose to walk part of the route and come out from the same point. Usuall, people chose to do this from Agia Roumeli. The entrance fee to the gorge of Samaria is 5 euro. You must keep the ticket because they check it on your way out. (To make sure no one was left inside). For information about the ferry (ANENDIK LINES) click here and the local buses (KTEL) here. Starting from Xyloskalo, the first part of your route 3km is the most difficult one because the terrain is full of stones and it is downhill. In some parts, there is a wooden fence to help you walk. After the first 1.7 km you will meet the 1st resting stop (Neroutsiko) where you will find drinking water and toilet. The 2nd resting stop (Riza Sikias) is 1.1 km away and also has water and toilet. 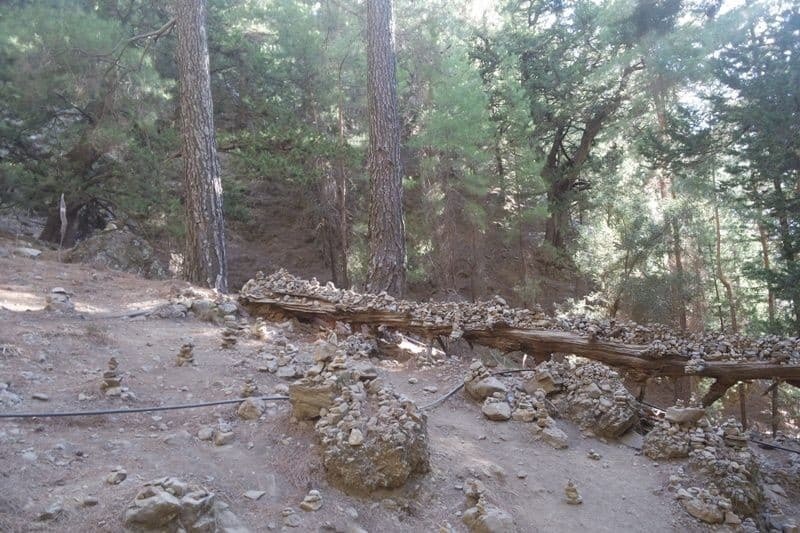 Before the 3rd stop (Agios Nikolaos) 0.9 km you will see a lot of stones one on the top of the other. It is said that if you put the stones like this and make a wish it will come true. At this resting stop, you can visit the small church of Agios Nikolaos. You will also find drinking water and toilet. From now on the road is not so downhill but it has a lot of big rocks. At the 4th stop (Vrysi) 0.9 km you will find only drinking water. At the 5th resting stop (Prinari) 1.3 km you will find again only drinking water. 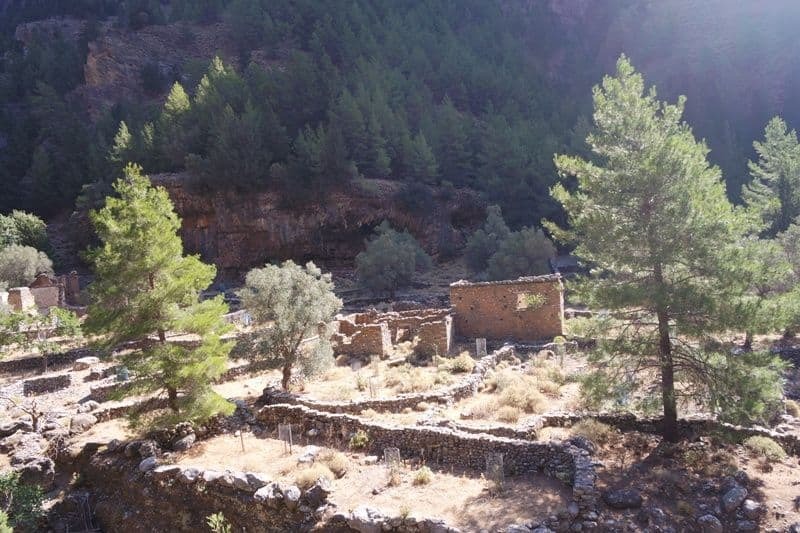 The 6th stop 1.2 km is in the abandoned village of Samaria. It is the biggest resting stop and it lies in the middle of the route. Here you will find drinking water, toilets and a first aid station. 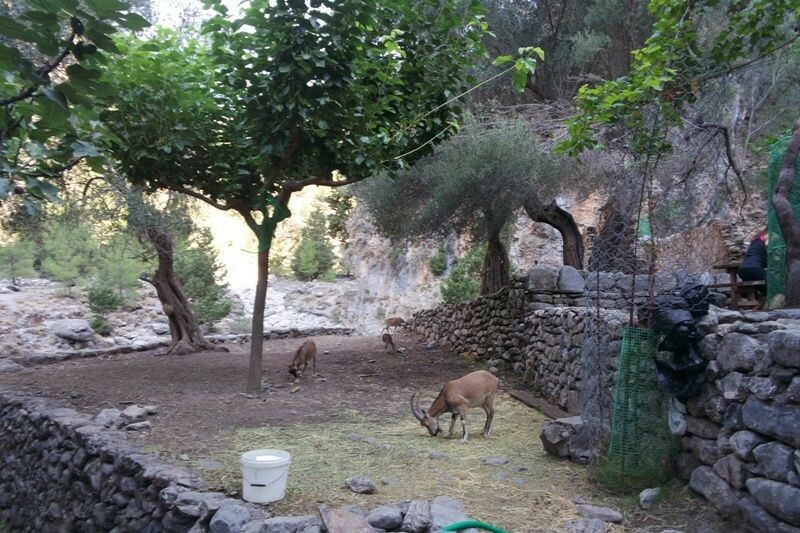 There you will also see Cretan wild goats (Kri Kri). After 1.1 km you will arrive at the 7th resting point called Perdika where you will find drinking water. At the last stop (Christo) 2.2 km away you will find water and toilets. On the last part of your journey 2.8 km you will pass through the most famous point of the gorge, the famous “Sideroportes” (iron gates) or “Portes” (doors) the narrowest part of the gorge only 3 meters wide. 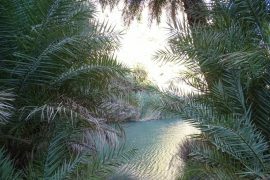 At the exit of the gorge of Samaria, you will have walked 13km. You need to walk 3 more in order to get to Agia Roumeli village. Head straight to the beach and have a refreshing swim in the Libyan sea. 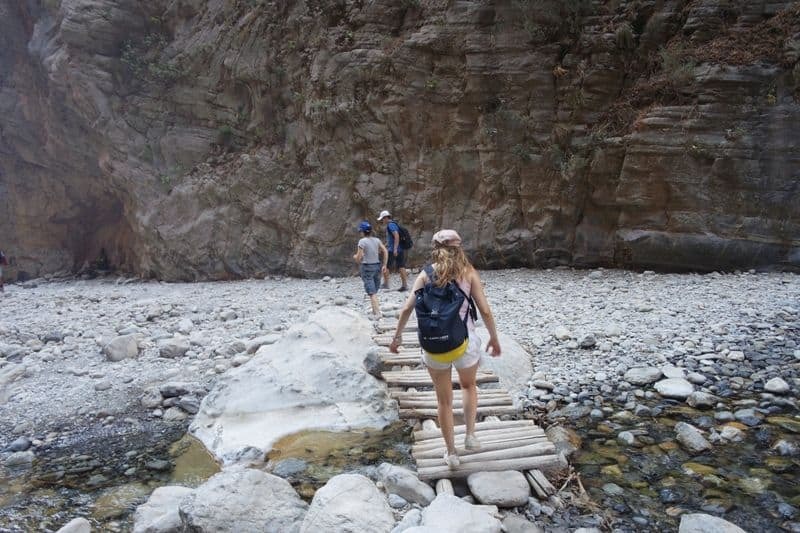 Most people need somewhere between 4 to 8 hours to walk the gorge of Samaria. We made it in 4 but we were walking fast. It is recommended to do it at your own pace. I don’t want to discourage you but the next day I couldn’t walk. My boyfriend on the other hand, was fine. It was a wonderful experience and I would do it again. 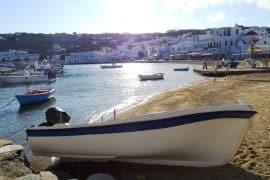 I totally recommend that you have lunch at the village of Agia Roumeli in a taverna called Rousios. It is not on the seafront but is a wonderful traditional tavern with incredible food. If they have fresh fish try it. They go fishing every day and serve whatever they catch. 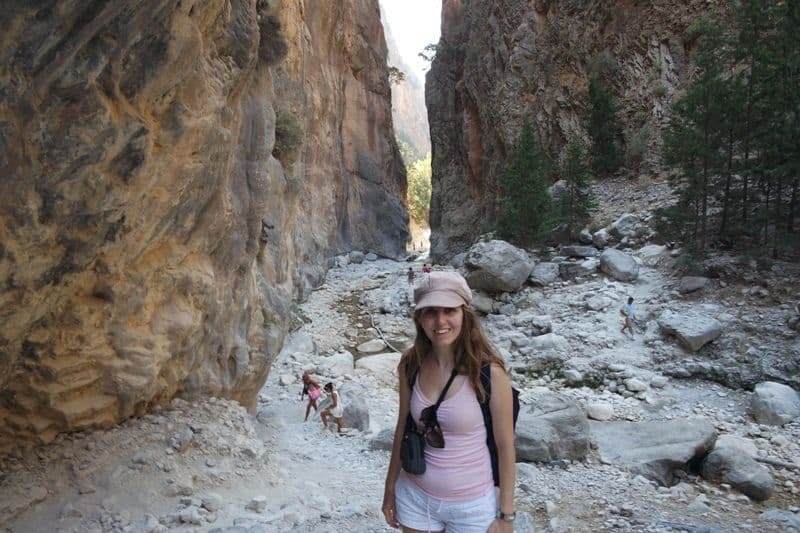 I hope you find my guide on how to hike the Samaria Gorge in Crete useful. 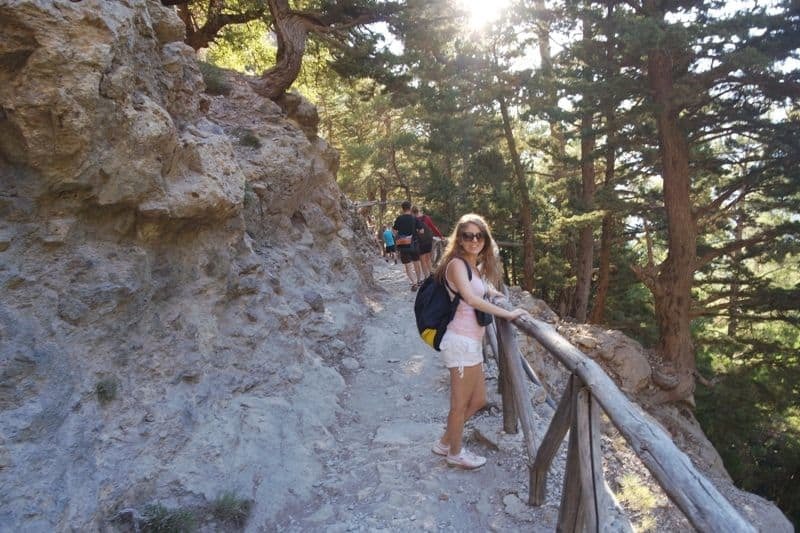 Have you ever hiked the Samaria Gorge in Crete? How did you find it? Have you walked another Gorge? 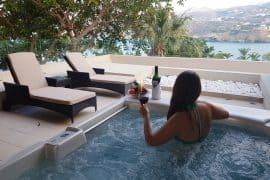 I would love to hear your experience! Thank you for the detailed information about the route. My husband and I have been contemplating a visit for years now, and have hesitated due to his knee problems and my preference for toilets and not shrubbery! You don’t have to worry about toilets there are plenty. As for your husbands knee you would better consult a doctor since the route is painful for the legs. You could do part of the route though from Agia Roumeli and then come back. That part of the gorge is easier to walk to! Thank you! Ha ha fortunately I managed to walk 2 days later! Wow, a stunning place to visit and even more because of the history with your family. Reminds me very much of a place we visited in Turkey. Defiantly somewhere we would love to see if we visited Crete. Looks great! We did some really nice walks in the Greek Islands, can’t wait to go back! I hope you can make it there soon! What an interesting place. Great pictures and congrats on being fit enough to survive! LOL. I love the animals you encountered, what a bonus! Thanks it is a place worth visiting! And your description is very informative, thanks for sharing! Is there a real pathway for this route? I’m 83 and don’t want a rock climbing sort of hike. If you start at the base Asia Roumeli and walk back to see some of it, how to you pay and how to you get there?